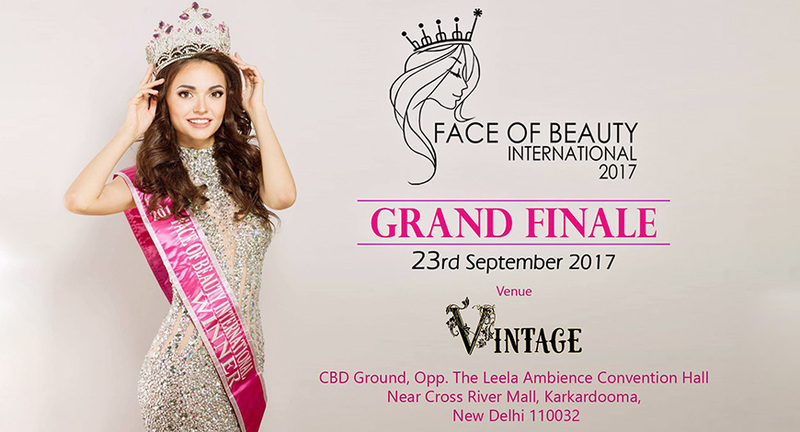 Rubaru Group gears up to organize “Face of Beauty International 2017”, which will take place from September 13th to 24th, 2017 in New Delhi. "Face of Beauty International" was created in 2012 as ‘Miss Teen Face of Beauty International 2012’. The international beauty pageant has been hosted in countries of Thailand, Taiwan and Mongolia. Rubaru Group has announced its association with the Lav Kush Ramlila Committe for their upcoming International Beauty Contest "Face of Beauty International 2017" along-with participation of more than 40 + countries worldwide. India will witness the cultural exchange between 40+ countries with our National Costume Show in front of 50000 + Live crowd on Thursday, September 21st, 2017 at Ramlila Mahotsav ground, Red Fort, Chandni Chowk, New Delhi. 10 days long event saw international delegates, shoots, media, fashion shows, bollywood celebrities and social awareness cause (“Save the girl child” and “Stop violence against women”). This event has covered Jantar Mantar, India Gate, Gwalior, Agra and Bahadurgarh. "Face of Beauty International 2017" is an event that will target almost 40 + countries (Miss America, Miss Venezuela, Miss United Kingdom, Miss Brazil, Miss South Africa, Miss Colombia, Miss Australia, Miss Germany, Miss England, Miss New Zealand, Miss Canada, Miss Egypt, Miss Russia, Miss Malaysia, Miss Mexico, Miss Finland, Miss Denmark, Miss France, Miss Brazil etc and many more throughout worldwide). Face of Beauty International aims to empower contestants to find beauty and to become that beauty. Contestants participate in charity events; workshops and symposiums; swim wear, national costume, and evening gown competitions; and travel in wanderlust across the host country together. This pageant aims to look at more than just outer beauty. Contestants must prove themselves intelligent, well-mannered and cultured. The winner is assigned a one-year contract with the FOBI, prizes, and traveling overseas to spread important messages to young women to help them find their true potential.